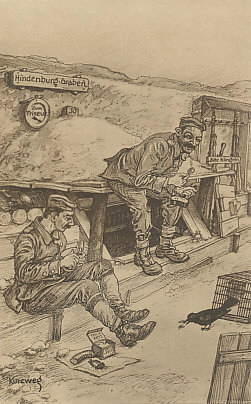 Unlike their predecessor Erich von Falkenhayn, who had primarily fought a defensive war on the Western Front, while also ordering that lost territory be regained, Generals Ludendorff and von Hindenburg were willing to give up territory in order to hold stronger positions. The Battle of the Somme, the defeat at Verdun, the Brusilov Offensive, had all cost Germany and her allies greatly in 1916. 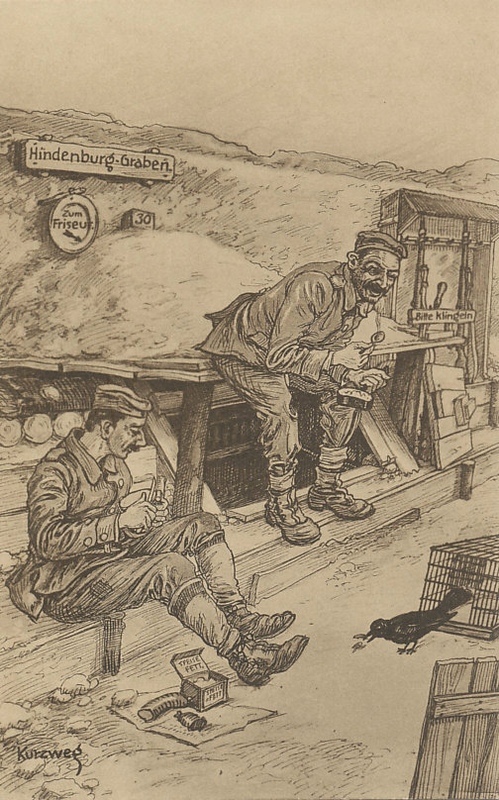 With submarine war renewed, and expecting a 1917 Allied Spring offensive, von Hindenburg and Ludendorff planned Operation Alberich, a strategic retreat to a shorter, stronger, more advantageous defensive line. The Germans began constructing their new defensive lines on February 9, 1917. The four new lines - Flanders, Wotan, Siegfried, and Hunding - formed the Siegfried Zone, or simply 'the Hindenburg Line.' They made a preliminary withdrawal on February 23. On March 15 and 16, 1917, before the Allies could launch their 1917 offensives, German forces completed falling back to the new lines, after having destroyed anything that might be of value to the Allies. They devastated and booby-trapped the land they evacuated, felling orchards, spoiling wells, destroying houses, demolishing steeples that served as observation points, and leaving booby traps behind. In retreating, the German forces shortened their front by nearly 30 miles and freed up 10 divisions for a planned Russian offensive. Anticipating an attack on the Western Front, they then increased the number of divisions in the sector from which they had retreated from 10 to 43. 238 divisions awaited an Allied offensive, although many soldiers were convalescents, undernourished, 17-year-olds, deserters, or had a history of discipline problems. The Russian offensive was suspended when the Russian Revolution began on March 11, 1917.